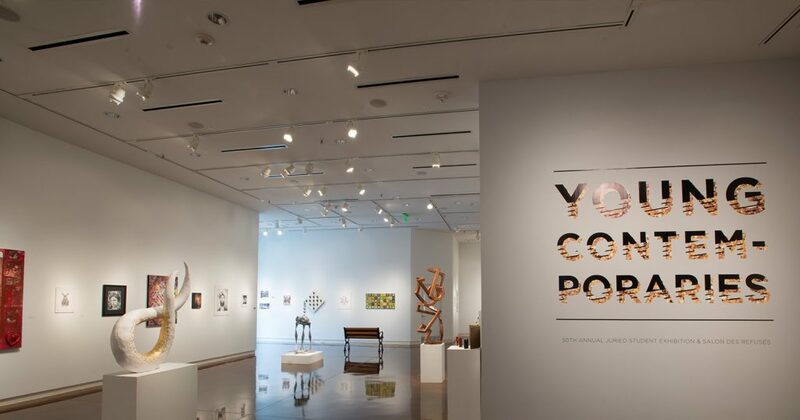 Each spring, current College of Charleston students are eligible to submit their recent work to the Young Contemporaries, giving them an opportunity to have their work chosen by a nationally prominent juror and exhibit in a professional gallery setting. The annual exhibition shows off the brightest talents coming out of the College’s School of the Arts, including painters, sculptors, printmakers, and photographers. 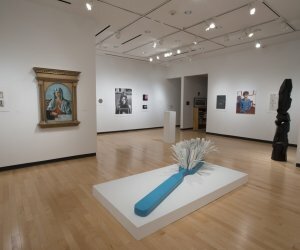 This unique show gives students the opportunity to learn how to prepare for future gallery exhibits and helps them to practice the type of professionalism necessary for success in such a competitive field. The Post and Courier calls the Young Contemporaries exhibit, “One of the highlights of the year.” This year’s entries are sure to impress. Concurrent with Young Contemporaries will be the Salon des Refusés exhibition, showing in the Hill Exhibition Gallery within The Marion and Wayland H. Cato Jr. Center for the Arts. The origin of the Salon des Refusés dates to Paris in 1863, when artists who had been rejected from the official Salon caused such a protest that Emperor Napoleon III ordered another exhibition held for them. Among the painters in this Salon des Refusés were Camille Pissaro, Henri Fantin-Latour, James M. Whistler, and Edouard Manet. The annual exhibition shows off the brightest talents coming out of the college’s School of the Arts, including painters, sculptors, printmakers, and photographers. These annual exhibitions are jointly produced by the Halsey Institute, the Studio Art Department, and the Student Visual Arts Club at the College of Charleston School of the Arts.